I feel especially qualified to review the store – Ragamuffin Beauties – because I’m pretty sure I have tried at least one of most of the items in the store . . . and some that haven’t made it there yet! My SIL – who I refer to fairly frequently – has finally opened her Etsy store and I am so thrilled to be able to share that with you. 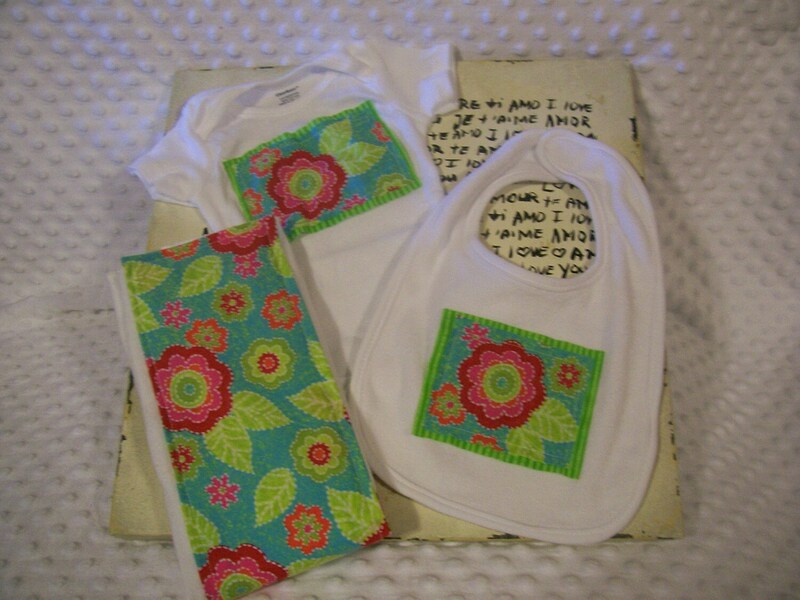 Ragamuffin Beauties carries an entire line of custom, handmade treasures. It’s the perfect place to shop for the perfect Christmas present. If she doesn’t have the material you want, feel free to message her and see if you can work something out. I’m sure she would gladly take material you already have – that matches a theme or personality – and customize one of these sets just for you. She also has great traveling changing pads – they are backed with chenille and have ribbons to make it easy to roll them up and throw them in your diaper bag. And she makes blankets that are Weston’s absolute favorites! 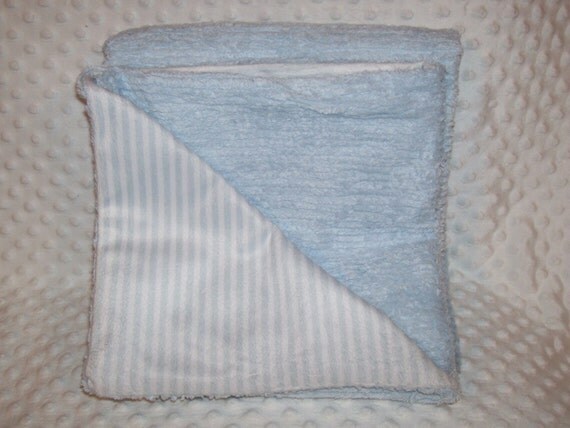 Weston also has a blanket like this one – in different fabric – that he sleeps with every day. In fact, we are going to have to get a second one because we have issues with him sleeping well when it’s time for the favorite blankie to get washed. Yes, yes, I know some of you are not interested in this baby stuff . . . but there is even more great stuff for those of you that don’t have babies to buy for. There are sunglass/eyeglass cases, tissue cozies, zippered pouches (think makeup bags) and probably more to come in the next couple of weeks! 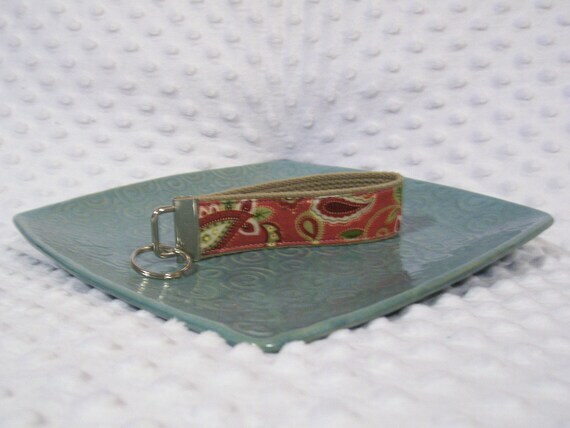 One of my personal favorites are the key fobs – all different designs, each made to be able to slip over your wrist so you don’t have to hold them or set them down. They have made my mommy-life SO much easier! And she has some incredible jewelry . 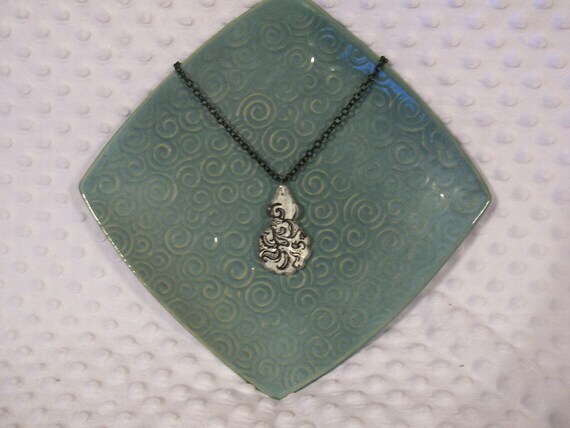 . .
And get her prices – this necklace is just $10!!!! The key fobs are $5. This is my kind of shop, I’m telling you. To celebrate her grand opening, we are giving away a $25 gift certificate to Ragamuffin Beauties . . . and as you can tell, that will go a LONG way! Mandatory Entry: Visit Ragamuffin Beauties and link to your favorite item in the store. Good Luck! Contest ends at midnight on November 30 and the winner will have 24 hours to respond by email. I 'like' Ragamuffin Beauties on FB. I love a lot of the stuff, I would have said the onesie set with the tie, but it is to small. A close second is the black polka Dot Tag blanket..
Ragamuffin Beauties is now a favorite of mine on Etsy. I like Ragamuffin Beauties on FB. I like this necklace; http://www.etsy.com/listing/61925599/black-clear-and-green-cystal-bead. I love the Zebra Key Fob. This is such a beautiful necklace! The Pearl, Crystal, and Sterling Silver Beaded Necklace is my favorite! I follow on Networkblogs @Crazycatlady! This is my favorite item in the shop. I follow MelissaStuff on FB. My daughter and I like the Candy Necklace and the keychain fabric loops! The print is really cute! 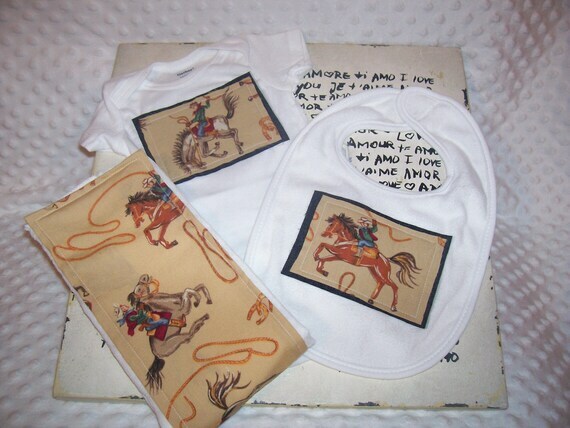 I would get the cowboy onsie bib and burb cloth set! I follow MelissaStuff by GFC! I follow MelissaStuff by Facebook. I favorited Ragamuffin Beauties on Etsy. I like Ragamuffin Beauties on Facebook. I entered the Yo Gabba Gabba Gift set giveaway! I love the baby boy striped tie onesie set!